For the ultra-feminine woman who loves her jewelry petite and understated, this classic 18K two-tone three-stone ring fits the bill perfectly. 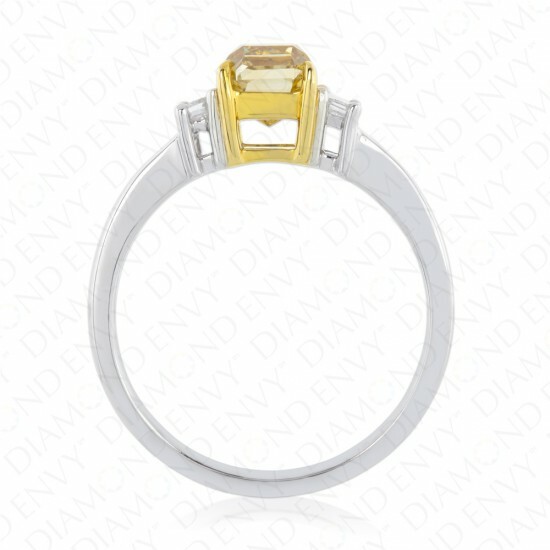 The center diamond is a 1.15 carat VS1 radiant cut Fancy Brownish Yellow diamond and is flanked by a pair of F-G VS1-VS2 tapered baguette diamonds, 0.24 ct. tw. 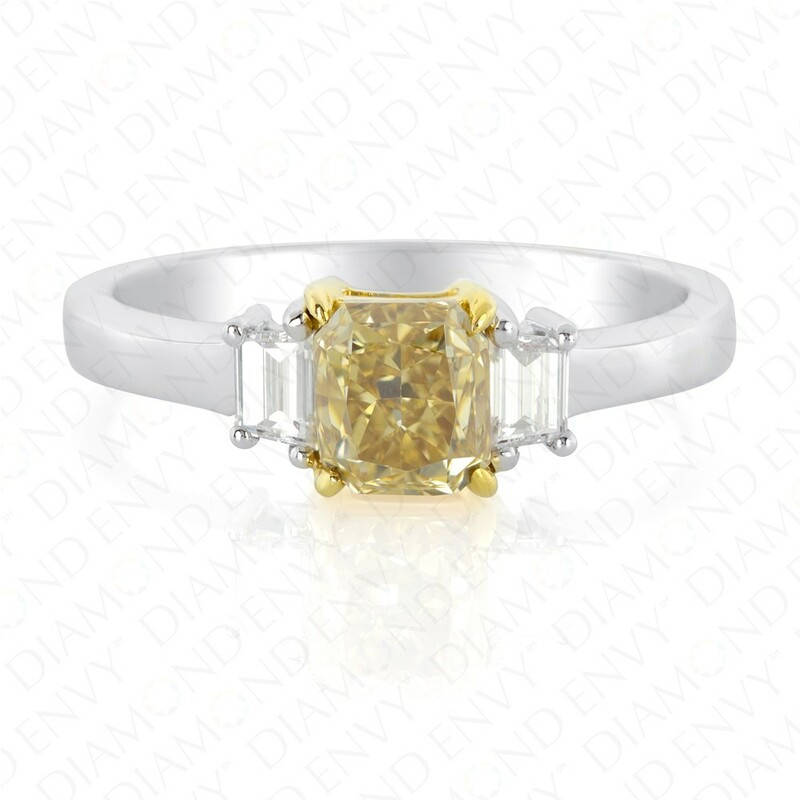 The luminous brilliance of the Fancy Brownish Yellow diamond contrasts beautifully against the linear cut of the stark white side diamonds. 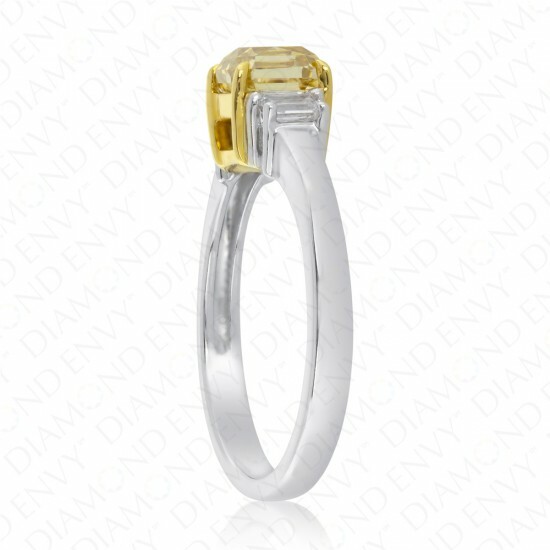 The center diamond is set in yellow gold to maximize its canary hue. 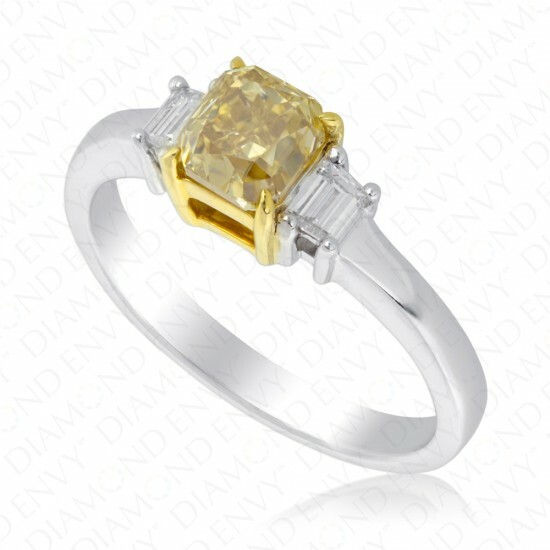 This timelessly elegant design will carry you through all the seasons and occasions of your life and is sure to be a trusted companion perched atop your finger day in and day out. It is stunning without being overwhelming and sparkly without being too flashy and makes an excellent engagement ring. Gold weight: 3.60 grams. 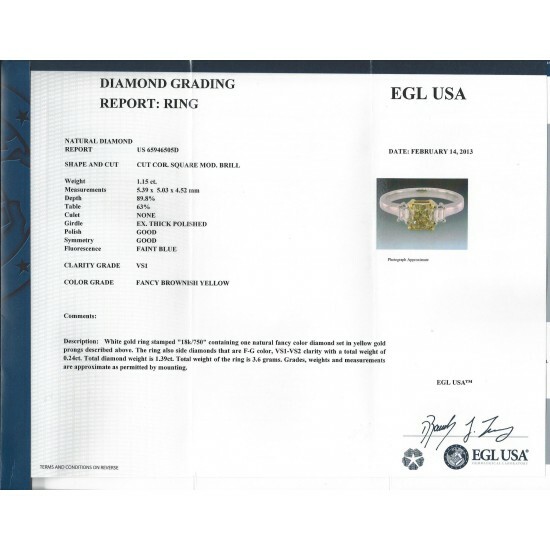 Center diamond is GIA-certified.